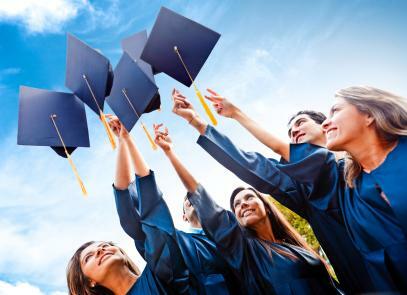 Writing a speech for a high school graduation is a big responsibility, and the task can be a little intimidating. 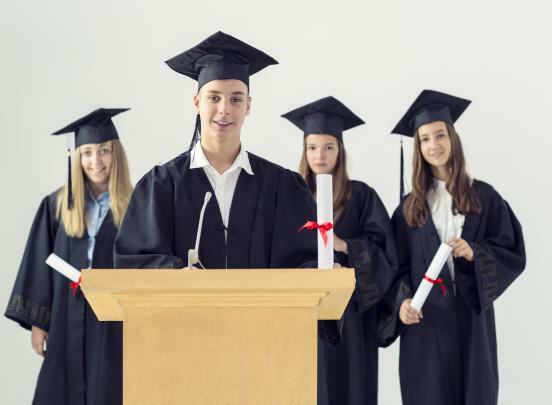 With a few tips and some sample graduation speeches to look at, you could quickly be on your way to writing a very engaging speech of your own. The following speeches are samples meant to help inspire your own creativity. You can click to download them and edit for your own use. If you like the style or sentiment of a particular speech, think of how it applies to your own high school experience, and use that as the basis for an original speech of your own. If you have any trouble downloading, please review our troubleshooting guide. The first sample is a speech that talks about how things have changed over the high school years. The second example focuses more on what the future holds for a high school graduate. The final sample is about giving thanks and recognizing those who have helped everyone successfully graduate from high school. The following video offers a great example of a graduation speech that really speaks to the graduates while being humorous, appropriate and entertaining. If you have a natural gift for humor, a funny speech like this will be remembered long after other graduation memories have begun to fade. Even though parents, faculty, and members of the community will be on hand, the focus of your speech should be your classmates. Speak to them! A good speech grabs the audience's attention and never lets that attention go. Start off with an attention grabbing question, or make a strong statement that provokes curiosity about where the speech is going. Don't be afraid to use humor in your speech. Having a theme for the speech is also helpful. Don't just read your speech. Tell your speech by interspersing emotional stories that tug at the heartstrings or inspire positive actions for the future. You might even want to include an original poem to help express your feelings. Don't just speak to the academic achievers, the sports stars, or the popular crowd. Your topic should be all inclusive of your graduating class. A really great commencement speech is enjoyed, not simply endured. Put some serious thought into your speech, say something meaningful, and stick to your topic so your message doesn't get lost. Above all, don't talk too long. Remember that everyone wants to receive their diplomas, shed those caps and gowns, and get on with the celebration.